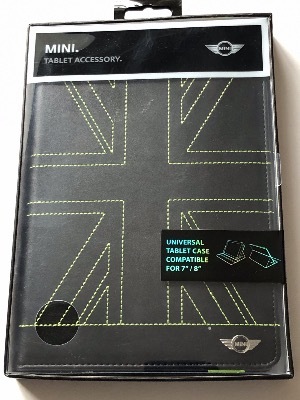 Genuine Mini Union Jack universal tablet case. This case is suitable for 7 inch and 8 inch tablets. It can hold the tablet in a standing position for easy viewing.